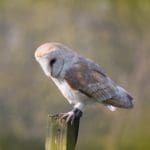 A great experience for bird lovers, this half day in Northampton will have you getting up close and personal with a variety of beautiful owls, and enjoying a relaxing hawk walk in the countryside. For a great introduction to a variety of beautiful owls and birds of prey, the Half Day Falconry and Owl Experience in Northampton ticks all the boxes. 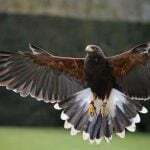 Learn from professional falconers about the habits and history of these majestic birds, and enjoy a casual stroll in the countryside with a Harris hawk for a companion. The experience begins on arrival at the centre in Northampton, where you'll be greeted by the friendly staff and offered a hot or cold drink to set you up for the day ahead. You'll first be introduced to the owls housed on site, which range from the small and mighty Burrowing Owl to one of the largest owls in the world, the European Eagle owl. If you're lucky you'll be treated to a guided tour through the woodland owls’ natural habitat, seeing them when they're most relaxed and displaying their most natural behaviours, before heading out for your hawk walk experience. Strolling through the lush countryside your guide will indulge you in tales of falconry encounters, and answer any questions you may have about the magnificent Harris hawk swooping above your head. A truly breathtaking experience! 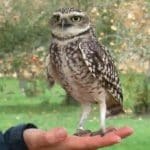 The Half Day Falconry and Owl Experience in Northampton introduces you to a variety of beautiful birds, making this a wonderful experience gift for animal lovers or bird enthusiasts. An altogether unforgettable afternoon spent in the countryside. The half day falconry experience runs throughout the year from 10am to 1pm. Anyone under the age of 16 must be accompanied by a paying spectating adult. (£20 per person). The half day experience runs for a total of 3 hours from 10am to 1pm. Participants: The Half Day Falconry And Owl Experience - Northampton is for 1 participant. The experience will run with 4 people. Friends and family members are welcome to come along, however, there will be a charge of £20 per person. Please wear dark clothing and sturdy shoes. In case of rain, please be sure to bring boots and waterproofs. The owl encounter and hawk walk can be cancelled at short notice due to extreme weather conditions. Your day would then be rescheduled. 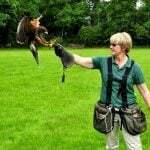 Hi Jo, it’s lovely to speak with you…to start with, please could you explain a little about the history of Icarus Falconry? Where did an interest in the industry originally stem from? The centre was born from the passion of Mike Hewlett (and his then business partner), for birds of prey and the natural world. Set up in the early 2000s to be a centre of excellence for the care of birds of prey and hands-on experiences, the centre has also continued to remember its roots in the historic sport of falconry. The collection of birds here has grown over the years, to become one of the most diverse in the country. We specialise in making our guests experiences unforgettable and as hands-on as possible. The emphasis is very much focused on guests having the opportunity to handle and spend quality time with our birds, in both the natural surroundings of the rolling countryside and woodland, and the fine formal gardens of Holdenby House. Small groups (up to 4 participants) ensure that everyone who attends gets lots of opportunity to handle the birds and receive maximum attention of our expert staff. What can you tell us about your most popular birds? Our most popular bird by a long way is ‘Pedro’, our Burrowing Owl. At a mere 4.5oz he is the smallest owl we work with at the centre and one that anyone can get involved with flying. Like all of our owls, Pedro has been hand-reared by staff, so he is very confident when flying to guests. The joy of having such a tiny owl gently alight from the palm of your hand is an experience which is never forgotten! As his name suggests, Pedro also enjoys tunnelling through his very own custom-built burrows! I also got the opportunity to hand rear a baby Milky Eagle Owl (Africa’s largest species of owl!) this year. He spent all his baby time in my home and came everywhere with me. He now flies to guests at the centre, on experience days and I am very proud. As a falconer, I have the privilege of working with what is essentially a wild animal on a daily basis, and love watching them progress, displaying their natural behaviour in the air. This gives me a brilliant opportunity to teach people all about the natural world and, where possible, how they can help with the conservation of endangered species. Being out in the beautiful Northamptonshire countryside everyday isn’t bad either! And are there any less enjoyable aspect of Falconry? It’s not always dry! The weather can occasionally test us and sometimes means a halt in birds’ training. A. Of course you can! We want all our guests to capture the abundance of wonderful memories being made during their experience. Throughout the seasons the flying team changes and we are often training new additions, so every experience is different. A word to the wise – if you visit us in the spring there is every chance you’ll see some of our baby birds being fed, reared and trained. And finally…are there any members of the team you’d like to give a special mention to? All of them! 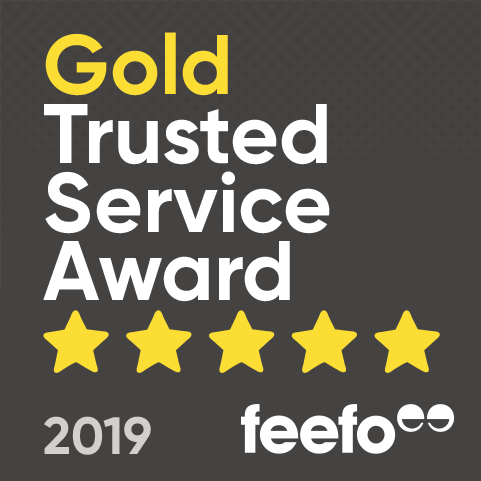 Our small team of staff are dedicated to the job they do with our birds and the care of the guests they welcome to the centre. Thanks again, Jo for chatting with us! If you’d like to take part in either a full day or half day bird of prey experience with the fantastic falconers at Icarus, please take a look at the activity details, here.